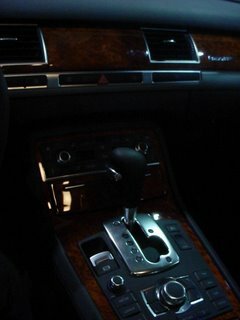 I requested a brochure for the Audi A8 and a few days later I got a follow-up email and phone call to make sure I received the brochure ok and if I had any questions. It’s a small gesture, but I always preach over at my customer service blog that follow-up is a key element in the customer experience. So far, Miramar Audi is on my good side! If you’re a customer and have had some experience with this dealership, leave a comment! I have to say, the A5 did make me think twice about cheatinâ€™ on my A8. 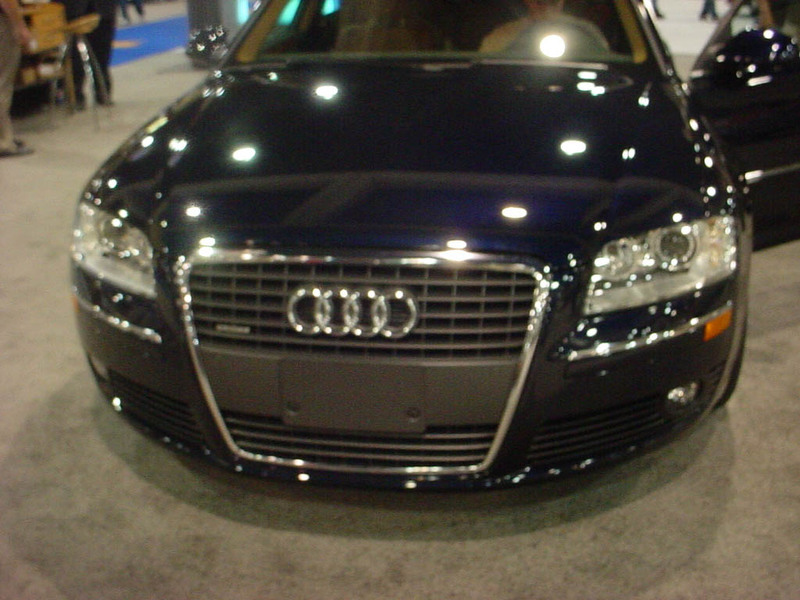 The A5 looks more fun, but yet the A8 is soooo distinguished and grounded. Hmmm, well I could get both, couldnâ€™t I? I know itâ€™s been awhile since Iâ€™ve posted and they say if you really want something, you need to think about it everyday. With that said, I have the intention of posting here everyday and visualizing that A8 in my driveway! 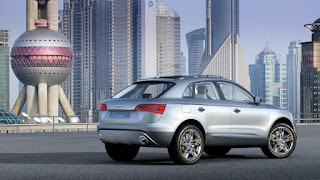 Thereâ€™s much talk in the blogosphere about Audiâ€™s Cross Coup Concept which was unveiled at the Shanghai Auto Show todayâ€¦. Kicking Tires has some great photos of the car from different angles. 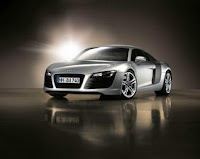 It seems that Audi is full of energy these days and well, with a goal of being No.1 by 2015, the company has to stay busy! 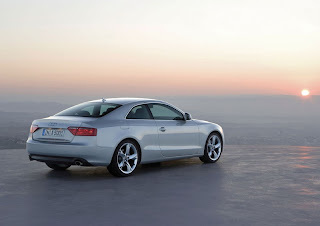 One of the newest additions is the Audi A5 sport coupe which looks like a pretty nice-lookinâ€™ car, I must say. Although, for some reason it kinda reminds me of the Toyota Solara. Maybe it’s because Lexus designed the back? Is Audi Growing Too Fast? A business owner told me that oftentimes itâ€™s better not to grow too fast. This is the feeling that I get regarding Audi right now. The company has been very aggressive in getting out their new models and making it known that theyâ€™re aiming for #1, but I wonder if they could be growing too fast. Just in the past month Iâ€™ve learned about 3-4 new models which makes it a bit tough to choose! Well, you know my choice, but for someone who isnâ€™t familiar with the Audi brand, it can be overwhelming! 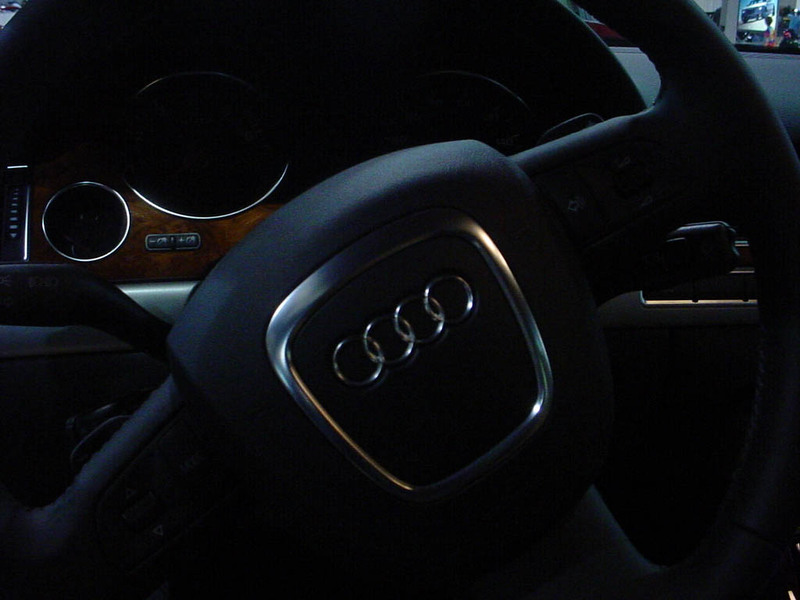 But thatâ€™s just my opinion… What are your thoughts on Audiâ€™s growth? 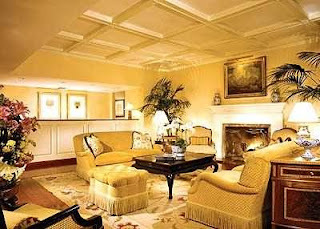 Now that’s what I call living The Good Life! For more information on the packages, visit the Audi website. As everyone turns to the BMW or Mercedes for the ego boost, there are those of us who donâ€™t need the â€œstatusâ€ cars. However, I do see the Audi A8 making itâ€™s way up there! Itâ€™s a status car without the status hype. I’ve never been one to be much of a show-off anyways. 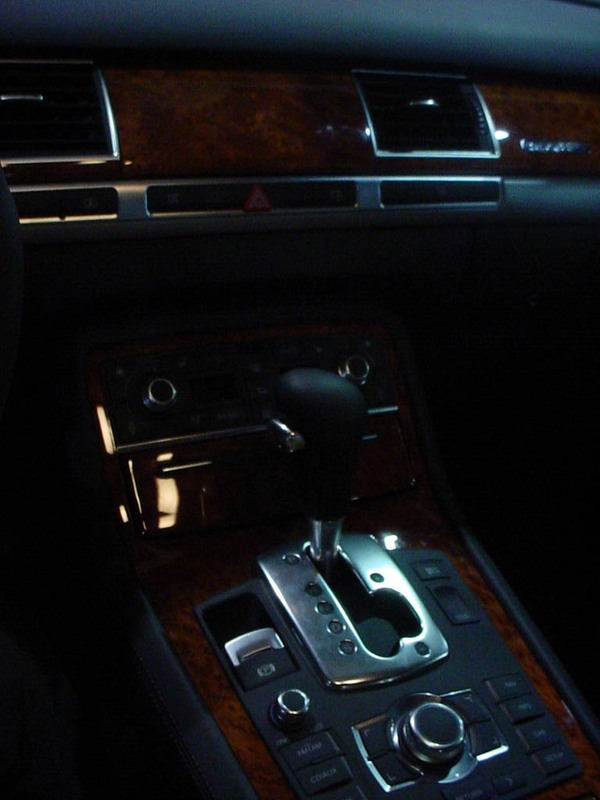 I just came across some â€œspy shotsâ€ of the next generation of Audi A8â€™s over at Audi World (via Autoblog). 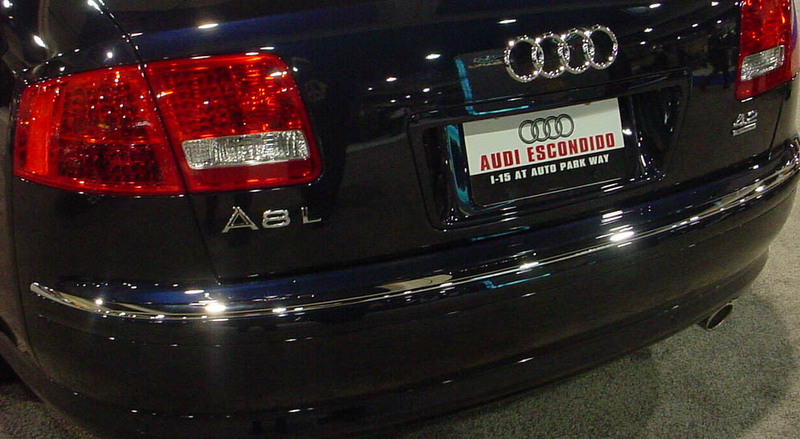 Looking at the pictures, it seems that this new version of the A8 looks a bit sportier. I do like the side view, but I donâ€™t know if I care too much for the wider fenders. Anyhow, to update you on my journey to buying my own Audi A8, I did receive a booklet from Miramar Audi (thanks, guys!) and just need to set up an appointment to test drive one! 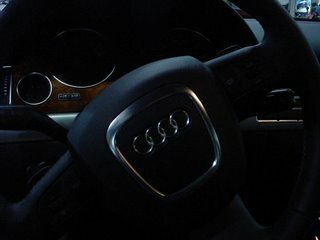 However, Iâ€™ve had doubts about purchasing a brand new one because someone told me that the A8 depreciates very quickly. Then I think, well, what car doesnâ€™t depreciate? Itâ€™s not like I will be selling it any time soon anyways. If anything, I plan on keeping it five years or more…. 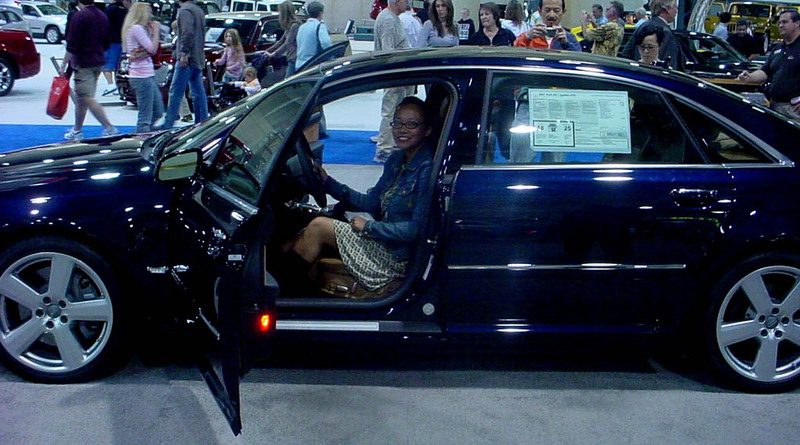 Ok, I know you’ve been anticipating the pictures of my dream car from the 2006 San Diego Auto Show. I was giddy with excitement when I approached the Audi display. A midnight blue A8 sat there beckoning me to come in and have a seat, so I obliged. And the center console…I wasn’t able to check out all the buttons because there were other people waiting to check it out.